Weizhe Hong, an assistant professor of biological chemistry and neurobiology at the David Geffen School of Medicine at UCLA, has been named a 2017 Searle Scholar. His laboratory uses optogenetics, imaging, genomics and computer vision to study the brain circuitry underlying normal behavior and to learn what happens when these circuits go awry in neurological and psychiatric disorders. 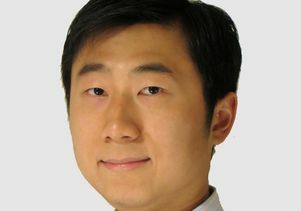 Hong joined UCLA in 2016 after completing a Helen Hay Whitney postdoctoral fellowship at the California Institute of Technology and earning a Ph.D. from Stanford University. The Searle Scholars Program supports the research of outstanding young scientists chosen for their potential to make significant contributions to chemical or biological research over the course of their careers. Candidates must have recently begun their tenure-track appointments at the assistant professor level at one of 158 participating academic or research institutions. Every year, 15 new recipients are awarded grants of $300,000 over a three-year term. Since its inception in 1980, the Searle Scholars Program has recognized 572 scientists, 66 of whom have been inducted into the National Academy of Sciences. Currently,16 have received MacArthur Fellowships, and one has earned a Nobel Prize in chemistry.